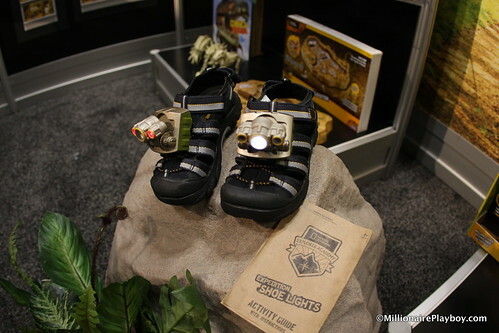 These clip-on shoe lights are perfect for young kinds camping in the woods, or simply exploring their back yard. There are two modes, white beam and red “stealth” mode. They clip on all manner of shoes, so they’d even be great for me when I’m doing nighttime photography. 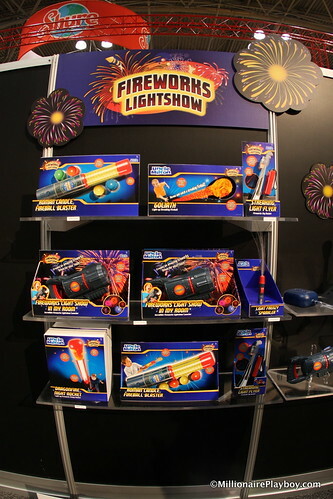 The Fireworks In My Room were a big hit, so they’re expanding the whole “play fireworks” theme. There’s a stomp rocket, fiber optic “sparklers” and more. These’ll be a lot of fun for 5-8 year olds. 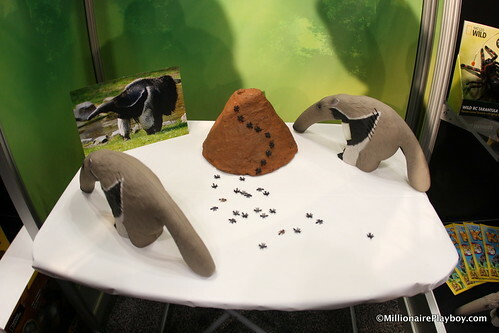 Stay tuned for our Cool Stuff 2012 Toy Fair video coming shortly as there is more Uncle Milton in there as well. Here are the rest of the pics from their booth, and swing by UncleMilton.com for more pics and info.